New details have emerged on how the Alshabaab carried out one of the deadliest terrorist attack in Kenyan history where 147 students were brutally killed inside their campus. Yesterday, a report by the National Assembly Security Committee found that Maalim Badi who was an associate of Mustaf Ato conducted a surveillance on Garissa university in February and later came back with Maalim Badi in early in March to finalize on their plans. The reports established that the attacks were planned by Abdi Muse and cordinated by Ato and Badi. Below is part of the report. “The Committee established that, in mid-March 2015, Mustaf Ato sent money to a facilitator in Garissa to obtain weapons and ammunition from Jilib. The facilitator used two associates of Mustaf Ato named Hidig and Abu Ali to transport the weapons to Mandera. 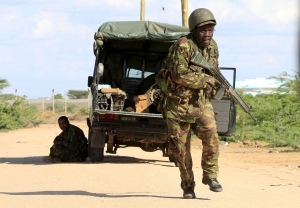 Hidig then assigned four individuals, Saha Diriye Hussein, Mohamed Abdi Abikar, Hassan Aden Hassan and Omar Dahir, to ferry the weapons to Garissa,” the report says.